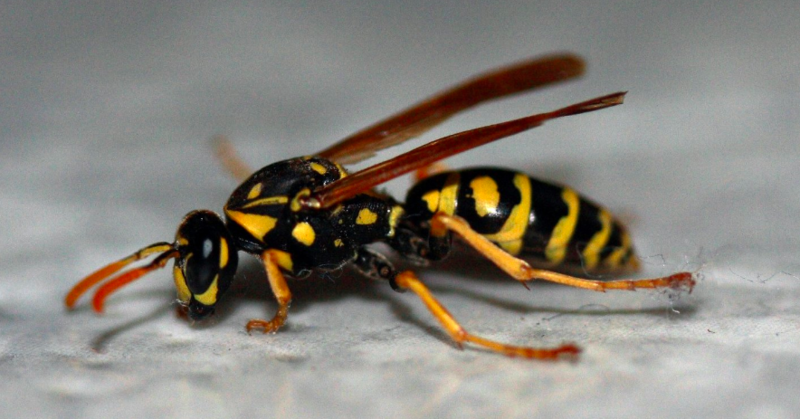 I blame Yellowjackets. If they hadn’t stung me two years ago this week I’d never have become an EMT, sitting long shifts every week in the Anderson Valley Ambulance Barn waiting for impermanence to flex its muscles on the fate of our neighbors. I was out raking hay by hand on that nice June morning when four of them little suckers roared out and stung me for scraping over their nest. I did the normal things: ran away cussing, ripped off my shirt to facilitate their retreat, and struggled with humiliation to be laid low by critters that weigh less than a gram. Then after admiring how my hand was swelling up where two of them had hit me, I got hold of myself and went back to raking. I’m over six feet tall. I’ve been stung many times. I can handle this. Stand back. Rake, rake, rake. . . And what’s that? I lean on the handle a minute and feel my heart racing and my armpits starting to itch, where I know they didn’t sting me. Is it the heat? No, I thought. Must be adrenaline. But what about this feeling woozy? I blew right by the sign that I thought a shot of scotch would be just the ticket to settle me down, even though it was before noon. Mind you scotch, though a lovely drink, is something I save for company and Christmas. Well, 4th of July, too. Anyway, I set off for the house, thinking I was clever to be so creative and present. But my lady is smarter than me. (Duh, she a woman.) Next thing I know I’m in an armchair, taking Benadryl and preparing to look bright and balanced to fake out the ambulance people who she’s called all the way out to the Deep End on a Sunday. I’m only partway through putting on my calm face and working up my story when firefighters in helmets and full gear and folks in civvies are walking in, radios on their hips blaring to some dispatch called Howard Forest, and hitting me with questions. I’m ready to give my speech and, damn, if they’re not talking with a helicopter circling overhead, trying to figure out the best place to land. Okay. Now I want to die. Maybe that will teach them a lesson for making such a big deal of things. Though I’m not sure how that’s going to salvage my dignity with Valerie, who’s wringing her hands in a way that makes me think she wants me to die, too. And that should have been another sign. She rarely has a murderous thought. Then the boys in ambulance-blue uniforms come in with medical bags along with a fellow named Don who gave off an aroma of apples, and they’re poring over me. I’ve got a blood pressure cuff on and some weird medical squeezing thing my finger and they’re flicking a flashlight in my eyes like I’m a drug addict. The only thing that keeps me from calling my lawyer is the fascination that I know a lot of these people. Mark, a damn fine builder is the lead EMT and Charlie, the tree surgeon, is the driver. What are they doing wearing ambulance uniforms and how come I didn’t know about their secret lives? And I do yoga with Kyle who has come in case she’s needed and there’s Martha smiling in the back having rumbled down the long dirt road from the mountains. For a second I presume they’ve all come for the religious service I didn’t know I was about to give. I look for the microphone and instead they slap an oxygen mask on me, though I hear them say that it doesn’t look like I have sign of—and they use some long medical word—yet. But that they should take me to the ER just to be sure. I look at my lady and she’s nodding, right as I hear that the helicopter has landed down at Handley Vineyards. And I realize I haven’t sheltered my meager funds or updated my will the way I’d meant to. The story would be better if I had really died or needed some four-inch needle jammed into my heart to bring me back from wherever it is that the White Light lives. But it turns out I’d had my first ever allergic reaction and my body handled it pretty well, with the help of Benadryl. And after a sweet ride with Mark in the back and watching him carry himself like a medical angel, I hung out in Ukiah Valley Medical Center’s ER, where I seemed stable enough to the staff to barely make them look at me. Very anti-climactic. Still, with the sheen of my invincibility gone, I was now set loose on the slippery slope leading to death, and to prove it came home with two Epi-pens in my pocket to give me twenty more minutes of heartbeat if I ever got stung again and fell into full-fledged “anaphylaxis”—that’s the word they used—all for the low, low cost of $180 after the medical discount. (Valerie had been smart enough to sign us up for the ambulance membership—the best deal insurance deal in modern America, so the trip was free.) Gradually I realized I’d been missing some basic clues about how this valley operates. A whole darn volunteer ambulance service operates here 24/7, made up of people you see in the stores, at the Grange Pancake breakfasts or wine tastings. They show up when you need them and leave without any fanfare. Cool, I thought, as I flew back East to take care of things in Vermont. While there, we heard news that Mark had a stroke, a bad one, and Charlie fell out of a tree and would be months in rehab. I did some quick math. If they’re all volunteers, they would need people. Which is how I entered the world Emergency Medical Services where I have met a wonderful set of women and men who do miracles and who blush when you raise the point with them. They study hard, train regularly and give big parts of their lives so you can have longer ones yourselves. Our number is 911. Nothing personal, but we hope never to see you.